After weeks of very soft VLCC rates, the steady demand seen recently in the Caribbean, West Africa and MEG resulted in thinner tonnage availability lists. Owners have managed to regain the initiative and rates steadily firmed towards $20,000 per day, despite the extensive holidays in the Far East, Fearnleys reported. The long awaited winter market may well have started but these rates could be temporary, the broker warned. Regarding Suezmaxes, the market may have run out of steam after a flurry of activity over a week ago that stimulated a rise in rates on the back of tightening vessel availability in the west. Third decade dates in West Africa have been very slow in showing and naturally there has been rate erosion. TD20 was presently at the WS77.5 level but with the potential to soften. Meanwhile, the Black Sea saw limited enquiry, which again was the crux for owners. For example, TD6 is holding shakily at WS85, Fearnleys said. However, November traded paper paints a different story but how we get there remains to be seen. Rates hovering around the bottom are again a reality for Aframaxes trading in the North Sea and Baltic. The majority of the Baltic stems in the first decade were covered on own tonnage, which inevitably led to downward pressure on rates. In the short term, charterers have a plentiful list of vessels to choose from. Going forward, rates are not expected to firm until the end October fixing window, Fearnleys said. Turning to Asia, crude tanker rates witnessed a rebound from the multi-year lows seen in the third quarter of this year, Ocean Freight Exchange (OFE) reported. Both demand and supply fundamentals point to an ongoing seasonal recovery in the fourth quarter of this year, although hampered by the ongoing issues of excess tonnage and OPEC cuts. On the supply side, fleet growth has been concentrated on the larger tanker segments. For example, growth in VLCCs and Suezmaxes reached about 5% and 7%, respectively this year, thus far. Another 15 VLCCs and 19 Suezmaxes were due for delivery before the year end but could be held up by slippage, resulting in the delivery picture easing in 4Q17. The pace of tanker recycling has also picked up since August - another plus sign. A seasonal spike in demand this winter plus bad weather delays should lend support to tanker rates, despite the OPEC cuts, which are due to last until March, 2018. In addition, lower crude cut allocations by Saudi Arabia will also boost cargo demand ex MEG. November loading MEG and regional crude premiums have been lifted by robust Asian refinery margins, OFE said. This leads to a bankwardated market, raising the demand for shorter haul cargoes, as well as the wide Brent/Dubai spread. Average complex September Asian refinery margins were 34% higher when compared to the January to August period, while firm demand for regional grades is expected to benefit the Aframax segment, which saw a rate bounce last month. The wide Brent/Dubai spread has rendered West African and North Sea crude less attractive to Asian buyers. Reduced November loading programmes from both Nigeria and Angola are expected to further lower West African crude exports to Asia in 4Q17, impacting on tonne/mile demand. However, OFE said that this might be offset by the continued interest to move crude from the US Gulf/Caribbean to the East, as long as the Brent/Dubai spread remains above the $5 per barrel mark. Recently, firm demand for VLCCs to load in the Caribbean drew vessels from the MEG, thus tightening the position list, especially for modern VLCCs and underpinning the current rate rally, OFE concluded. According to Indian reports, the first US crude oil cargo bought by Indian Oil Corp (IOC) arrived at Paradip on 2nd October, 2017. 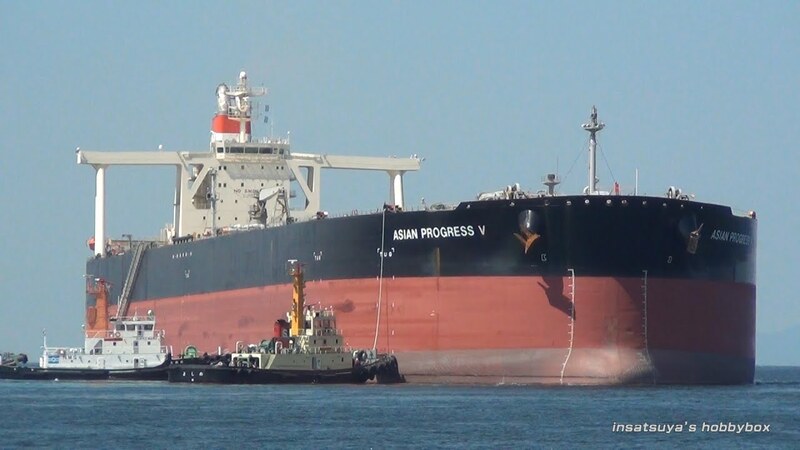 The 1.6 mill barrel cargo was shipped on the VLCC ‘New Prosperity’. She reportedly left the US Gulf on 19th August. IndianOil will process the crude at its east coast refineries located at Paradip, Haldia, Barauni and Bongaigaon. IndianOil, which became the first Indian public sector refiner to source this crude, has placed an order for 3.9 mill barrel from the US. Bharat Petroleum and Hindustan Petroleum, India’s two other public sector refiners, have also placed orders for about 2.95 mill barrels and 1 mill barrels, respectively from the US for their Kochi and Vizag, local reports said. Elsewhere, KNOT Offshore Partners completed its acquisition of the ownership interests in the company that owns and operates the shuttle tanker ‘Lena Knutsen’ last week. The aggregate purchase price was $142 mill, less $133.8 mill of outstanding debt, plus about $24.1 mill for a receivable owed by Knutsen NYK to KNOT 26 and around $1 mill for certain capitalised fees related to the vessel’s financing. ‘Lena Knutsen’ is an 156,559 dwt shuttle tanker, built by Hyundai Heavy Industries and delivered in June, 2017. She is operating in Brazil under a five-year timecharter with a subsidiary of Royal Dutch Shell, which will expire in the third quarter of 2022. The charterer has options to extend the charter for another two five-year periods. Elsewhere, US-based Gener8 Maritime has reached an agreement with Hanjin Heavy Industries and Construction Philippines (HHIC-Phil) to drop the price for the company’s final VLCC newbuilding. Under the 26th September amendment, the parties agreed a $19.3 mill reduction in the contract price, including $5.4 mill in liquidated damages related to the late delivery of the ship. As a result, the contract price has been reduced from $96.4 million to $77.1 mill, and the final instalment due from the company upon delivery of the VLCC, to be named ‘Gener8 Nestor’, on 9th October, 2017 will be reduced from $48.2 mill to $29 mill. Furthermore, HHIC-Phil must pay $30,000 per day from 9th October, 2017 until the vessel is completed. If the vessel is not completed on or before 23rd October, the company has the option to complete the vessel on its own or using its own sub-contractors at the builder’s cost and liquidated damages will continue to be payable at the rate of $30,000 per day, Gener8 said in a US SEC filing. In the charter market, brokers reported that the 2010-built VLCC ‘Atlantas’ had been fixed to undisclosed interests for $23,000 per day, while the 2005-built Aframax ‘Radiant Star’ had been taken by Unipec for 12 months for $14,000 per day. ExxonMobil reported fixed the 2008-built MR ‘Transsib Bridge’ for 12, option 12 months at $13,750 per day. Other MRs reported fixed recently included the 2009-built ‘FPMC 20’ thought taken by ST Shipping for 12 months at $12,500 per day, while the 2006-built ‘T Rex’ was believed fixed to Trafigura for the same period at $13,500 per day. Trafigura also fixed the near sisters ‘UACC Consensus’, ‘UACC Sound’ and ‘UACC Strait’ for four to six months at $14,750 per day each. The 2008-built ‘Grand Ace 8’ was said to have attained $12,750 per day for a six, option six month fixture to Shell, while finally, Asahi Tanker was reported as taking the 2011-built ‘FPMC 26’ for 12 months at $13,500 per day. In the S&P market, Zodiac was said to have splashed out $53 mill on the 2011-built VLCC ‘Trikwong Venture’, while undisclosed interests were thought to have paid $22.5 mill for the 2002-built VLCC ‘Gener8 Poseidon’. Scandinavian interests were reported to be behind the purchase of the 2007-built MR sisters ‘Atlantic Diane’ and ‘Atlantic Blue’ for $17 mill each.